By Adam Jacot de Boinod. Adam worked on the first series of the BBC panel game QI for Stephen Fry. He is a British author having written three books about unusual words with Penguin Press. 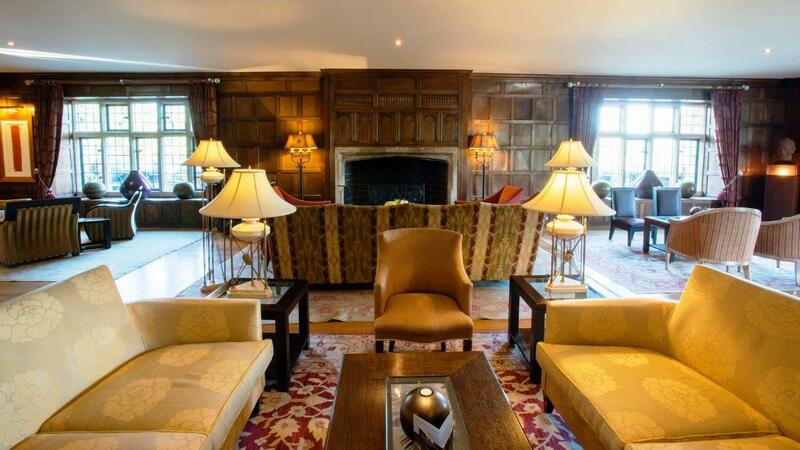 ​Whatley Manor is deep in authentic picturesque Cotswold countryside. It’s an area of rural atavism in which sleepy villages and wonky lanes are intersected by the Fosse Way, the famous ancient Roman straight road. It’s an idyll of natural bounty and nearby the National Arboretum at Westonbirt displays its full panorama of trees. 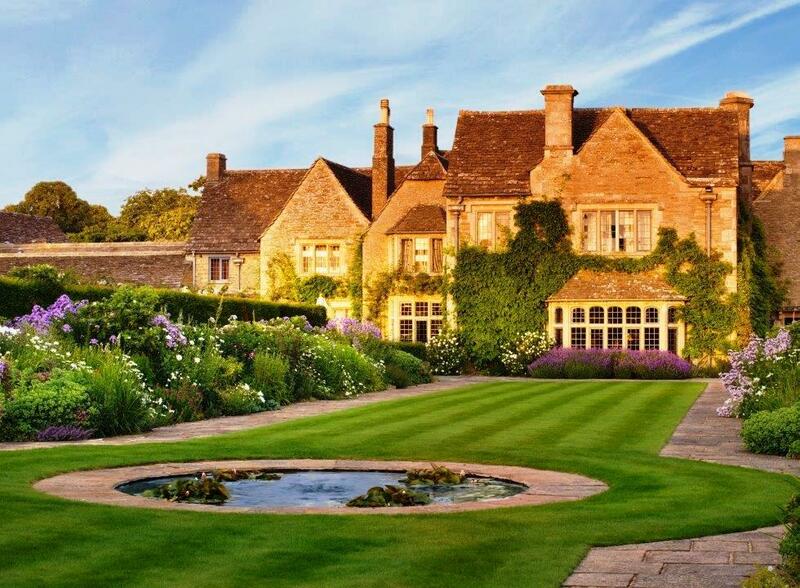 This Relais and Châteaux five-star country house Whatley Manor was originally named Twatley Manor, an abbreviation of “To The Wet Lea”, and was converted into a hotel in 1987 and has been in the Landoit family since 2000. After driving down the tree-lined avenue bordered with walls of beautifully thin Cotswold stone, I was magically drawn into a series of outhouses surrounding the manor house. I knew I was in for something special. I entered the main courtyard surrounded by lavender and thyme and in the middle of which stands a 200 years old olive tree. The box hedges and yews came in pyramids. Set in twelve acres, the gardens are landscaped to the old 1920s plans and have water sculptures (a particularly inventive one by Simon Allison). There’s a beautiful rose garden, an upper and lower terrace, a charming gazebo in which to meditate, and going down a slope, I reached an open meadow with cowslips and ox-eyed daisies, where the helicopters land. It’s all set amongst a scattering of oaks and ash trees. My room was more like an apartment. 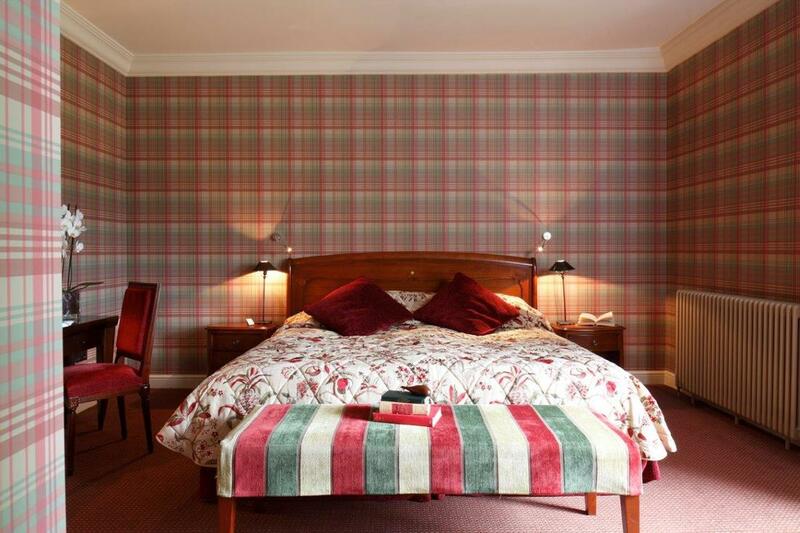 The walls were decorated in tartan wallpaper and my bathroom indulged me with a heated floor while the view from the lead-lined mullion windows looked out over the immaculate upper terraced spongy lawn. The interior decoration successfully balances the old manor house with the requirements of a luxury modern hotel. The fires in the drawing room and hall are lit first thing to mesmeric effect. Refreshingly, there are old oak staircases rather than lifts, the artifacts are tasteful and the rugs are an impressive size and pattern. It made me sit and imagine how once it must have been while lapping up the modern day comforts. Right down to the yellow Wellington boots provided, it’s very evident that all has been thoroughly thought through! 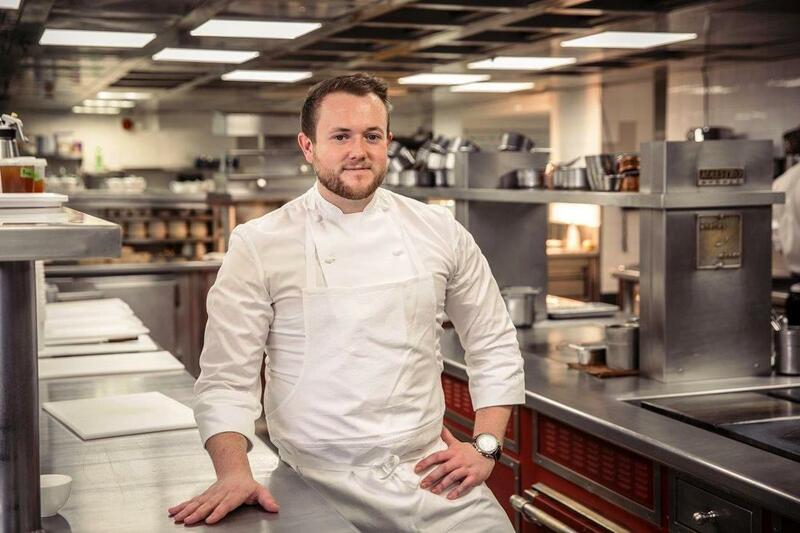 ​Chef Niall Keating has just this month been awarded a Michelin star for The Dining Room. 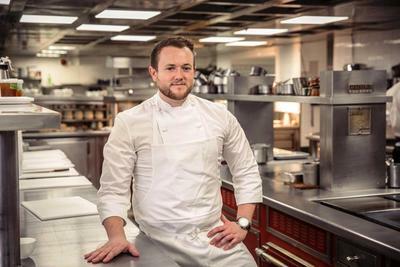 His taster menu was an impressive array of 14 mini courses, predominantly involving creative fish arrangements. Each course was a work of art. My favourite two were the ‘spiced cracker, sesame and Exmoor caviar’ and the ‘mackerel, preserved raspberry and greens’. The room was modern, neutral and zen, the service and food being sufficient embellishment as the procession of waiters delivered up in harmony the plates with a theatrical flourish. At the Aquarias Spa there’s a new range of treatments in partnership with Natura Bissé, the prestigious family-owned Spanish skincare company. 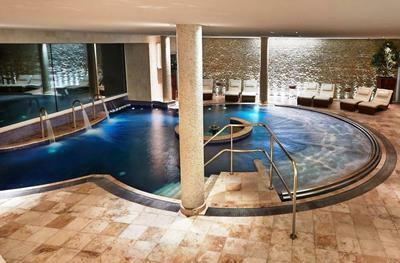 The spa’s motto “Immerse in tranquility” is assuredly borne out with a ‘tepidarium’ with heated stone recliners as well as hydrotherapy that extends outdoors. ​The hotel is definitely suited to a young clientele as well as the wealthy retired and is ideal for a romantic getaway. It’s dog but not family friendly. Londoners can get here in two hours. And it’s perfect for gourmets and those with green fingers.